NST manufactures tools that must meet API standards upon completion, therefore; In an effort to provide top quality products, Holly Pipe and NST also provide qualified turn-key NDT inspections to fulfill the highest standard of integrity for our products. 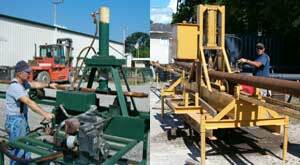 We also provide the latest forms of inspection upon receiving and cleaning used drill pipe. We strive to deliver the highest quality products to drillers worldwide through the standards of API 7-1, DS-1 and ASNT certifying drill pipe and tools free of all defects. Bent drilling tubulars are common in the drilling industry, and Holly Pipe is equipped to handle straightening of any drill pipe, heavy weight drill pipe or drill collar. Straightening is typically done during inspection to allow for possible machine shop work on connections. Extreme bends are addressed before inspection. Individual tubulars are placed in a hydraulic press to carefully and accurately correct the tubing while maintaining integrity. 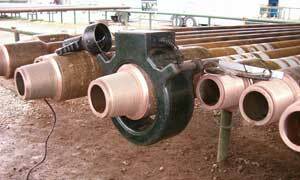 Cleaning drill pipe and tubulars with air rattling or water blasting comes second after straightening to conduct a thorough inspection. Holly Pipe’s inspectors analyze the drill pipe to determine whether to clean with water or air to safely remove contaminants. 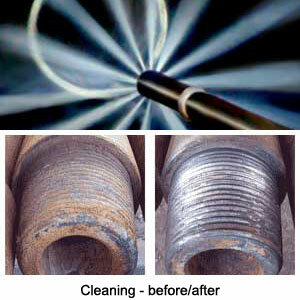 After determining the condition of the pipe, the outside and inside of the pipe is cleaned as per customer request. When you need to test the tensile capabilities of your drill string or tooling, Holly Pipe has the ability to test materials with 800,000 lbs of tension. It’s reassuring to know that the tools used will sustain at least 80% of the planned pulling load. 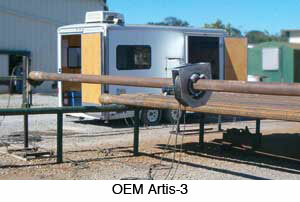 Our pull tester executes the pulling load upon the pipe and is held for three seconds and released. Data from the load and time is recorded on a digital system, which in turn can be printed or filed electronically. 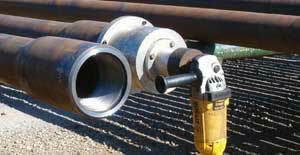 Sometimes drill pipe connections need reconditioning, and other times it only needs to be refaced. Holly Pipe takes the time to check connections and determine what is actually needed. Once the connections are inspected for cracks we start field dressing or refacing in order to make the pipe suitable for makeup and drilling.